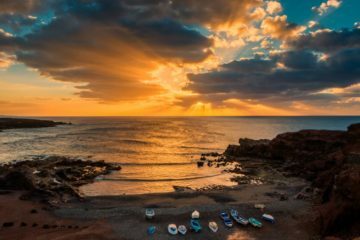 Geographically, Mallorca consists of a fertile plain sandwiched between two mountain ranges: the spectacular Serra de Tramuntana to the north and the Serres de Llevant to the south. The lowlands are bookended by the Bay of Palma – home to the island’s historic capital city – and the Bay of Alcudia. Both are characterised by long sandy beaches and shallow, warm seas; all around them you’ll find great places for watersports and safe swimming. 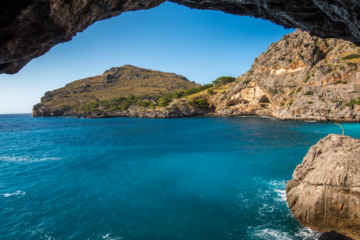 On rockier parts of the coast you’ll see adventure operators taking groups of thrill-seekers ‘coasteering’ – a mix of rock-climbing, abseiling, scrambling and cliff-jumping that offers a whole new way to enjoy Mallorca’s coastline. Palma de Mallora: The capital of the Balearic Islands is lively, full of history and a great place to enjoy local bars and restaurants. And in the city itself, Palma Cathedral (also known as La Seu) is an architectural wonder that’s bound to impress all ages. Almudaina Palace is also found in Palma – it’s a fairytale castle and residence of the Spanish royal family. Alcudia’s Old Town on the island’s north side boasts a 14th Century wall and colourful markets on Tuesdays and Sundays throughout the year. 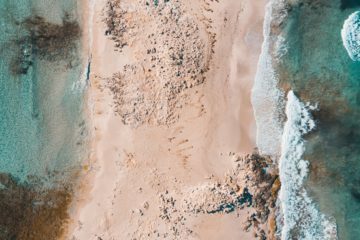 Summer temperatures are hot, averaging the high twenties with negligible rainfall in the lowlands – it’s the best and the most popular time for beach breaks and traditional family getaways. If you’re planning a holiday around land activities, it’s also worth considering the cooler spring or autumn months, which are ideal for exploring the island on foot or by bike. It’s a paradise for hikers and cyclists, with the heights of Serra de Tramuntana offering challenging ascents and spectacular views. Public transport: Thanks to decades of tourism, Mallorca is easy to get around, with a well-developed road and bus network, three train lines and a Metro service operating within Palma. With so much to see, we highly recommend hiring a vehicle – check out our activities section for some original ideas on that front. If you prefer public transport, your first stop will be Palma’s Intermodal Station, reached by the 1 and 21 buses from the airport. 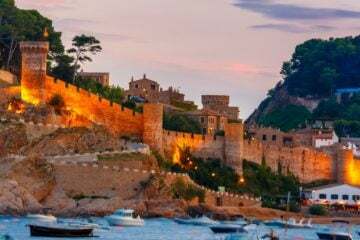 From there, local EMT buses and Metro services will get you around the city, TIB (Transport de les Illes Balears) buses will take you to destinations further afield, and trains will take you to the towns of Inca, Pobla and Manacor. By bike: Touring Mallorca by bike is a fantastic way to see the island (Bradley Wiggins is a big fan) and there are loads of places to hire cycles from – your luxury villas might even include them as part of your rental. Taxis: There’s an abundance of taxi companies on Mallorca to help get you to where you need to go – though as with many destinations, it’s worth booking in advance (if possible) and agreeing on a price with the driver before heading out. Hiring a car: If you’re staying inland or in one of the more remote coastal areas, hiring a car will probably be necessary. There are several local firms as well as multinational staples, but once you’ve got your own set of the wheels the entirety of the island is yours to explore! Companies like Europcar, Hertz and Avis all provide services direct from the airport. If you’re planning a wedding, major birthday or any other special event as part of your visit, we recommend the fantastic Globo Events, who have years of experience delivering event and concierge services in Mallorca. To get a flavour of their local knowledge, check out MD Johanna’s Mallorca tips, shared with us back in February 2015. The truly adventurous – or anyone after the quietest beaches they can find – should explore the northern coast. Here you’ll find fantastic spots only accessible on foot, such as Es Canyaret, a beach just outside the village of Llucalari that is renowned for its waterfall and refreshing mud pools; Port des Canonge, a secluded spot east of the ancient, terraced village of Banyalbufar; and Coll Baix, a stunning, cliff-fringed bay with turquoise waters. While you’re in the region, take time out to visit Deia, a small coastal village popular with the creative set. It has been attracting writers and musicians for decades, and when you see it you’ll understand why – it’s a charming jigsaw of traditional flat-roofed buildings and lush gardens, and also boasts a superb Michelin-starred restaurant in the shape of Es Racó d’Es Teix. For another food treat from northern Mallorca, track down fresh prawns from Port de Soller; they’re exceptionally good, and 2015 saw the town launch a festival dedicated to them (held in early March). Over on the other side of the island, enjoy an underground adventure at the jaw-dropping Caves del Drach. The tour winds past clear pools and intricate rock formations for just over a kilometre, leading you to Lake Martel, a 170 metre-long underground lake – your guide will take you on a boat ride across it, accompanied by live classical music. With good paths and lighting and a temperature of over 20C, you don’t need to be a hardened caver to enjoy it! Make sure you take the breathtakingly beautiful tram journey from the town of Soller to the port! If you’re into your scenic drives, try going from Valdemossa to Sa Calobra (via the village of Deia), or visit and the charming town of Estellencs and hunt down its stunning hidden cala – don’t forget to bring a picnic! One more thing – if you find yourself on the long road through the Tramuntana mountains that runs east to west, stop for lunch in Es Grau for some tasty treats and breath-taking views. Famed architect Gaudi was meant to design new changes to Palma Cathedral, but he dropped out after a spat with a contractor. The English poet and novelist Robert Graves spent a large portion of his life on Mallorca – he eventually died there in 1985. Es Tranc beach apparently loses about 25 tons of sand each year due to it being taken away by holidaymakers in their towels, bags and sandals. The delicious local pastries known as Ensaimada are notoriously difficult to make off the island – it’s said that the sea air helps the dough to rise! Mallorca makes a superb choice for a family holiday. It’s not too far away (so travelling with little ones isn’t too taxing) and you can enjoy the tourism infrastructure of the island while staying in the beautiful countryside in one of our luxurious villas in Mallorca. 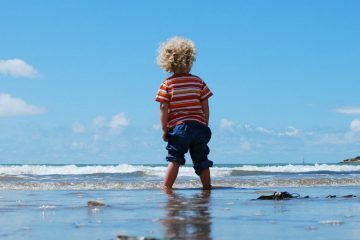 Better yet, there’s loads of things to do to keep everyone entertained and tons of soft, sandy beaches to while your days away. Fantastic Family Activities in Mallorca.. There are loads of great museums and art galleries on Mallorca, and the local artists often feature their own work in smaller exhibitions. Something that’s bound to enrapture kids of any age is the Toy Museum in Palma, which features toys from all over the world. There are some great water parks across all of the Balearics, and all of them make for an exciting family day out. Aqualand is worth a try if you’re heading to Mallorca! There’s plenty of nature on the island kids will love to explore, with wild new creatures to find and see – try a nature walk and see where it takes you! If the kids love their animals, La Reserva is a private reserve full of beautiful beasts – and there’s even adventure activities too. Katmandu is a huge adventure playground chock full of rides and things to do, with the highlight being the unforgettable upside-down house. There’s plenty of opportunity (especially inland!) to appreciate Mallorca’s amazing landscapes and views – so lace up and get walking! Mallorca Hiking lets you enjoy the huge variety of Mallorca’s landscapes with a helpful guide, and it’s suitable for all ages too. Getting on your bike is a great way to see the island too – there’s loads of great trails suitable for all ages too. Nano Bicycles in Palma offer a cycling tour of the old town or bike rentals to suit you and your family. Nothing here your cup of tea? There’s loads more suggestions over at our blog on the best family activities in Mallorca. Cala Agulla is surrounded by pine forests, so you’ll get an amazing scent as well as an amazing suntan! Es Trenc is one of the most popular beaches on the island, so get in early – but the beautiful soft white sands are worth waking up early for. Though there’s stretches of sand on Cala Mondrago, there’s also rocky sections which make for some amazing snorkeling. Canyamel is a bit of a hidden gem – it’s small but rarely has many people on it, so great if you’ve got younger kids or are looking for some peace. 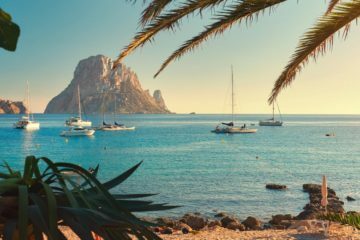 Puerto Pollença is a friendly and laid-back beach on Mallorca’s north-eastern coast, with plenty of handy amenities nearby for a day at the beach. If you’re looking for a holiday with friends that ticks all the boxes, Mallorca’s the place to go. It’s got great beaches for chilling out, fantastic nightlife and restaurants, and beautiful and varied landscapes that offer a wide range of activities and chances to explore. What are you waiting for? Get some friends together and start browsing for a villa to stay in! There are plenty of new ways to take on the Mallorcan landscape, from scuba diving to adventure activities that’ll take you far out of your comfort zone. Jungeparc take you up into the treetops, using ziplines, ropes and bridges to navigate a pine forest. Enjoy Mallorca’s gorgeous scenery in style by renting a classic car and taking it for a spin around the coast! Rent a Classic Mallorca have got a great choice of stylish rides. 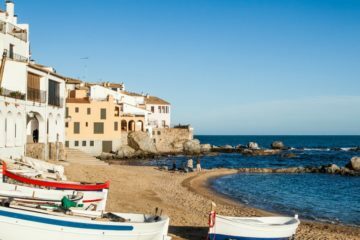 Or you could take in the whole island with a guiding tour, enjoying everything from the heights of the Serra de Tramuntana mountains to a boat trip around the coast. No Frills Excursions are your go-to guys for a tour you’ll never forget. Surprisingly, Mallorca has some fantastic golf courses – whatever level you’re at, a day or an afternoon on the Mallorcan links is the ideal tonic. You can find out more through our friends at where2golf.com. And if you like heights but think Jungleparc sounds like a bit too much effort, you can appreciate Mallorca from above with a hot air balloon flight. We recommend Mallorca Balloons if you feel like taking to the sky. Or stay a little closer to the ground and explore Mallorca by bicycle. It’s a hugely popular way to see the nicest parts of the island, and bike rental is easy and affordable. Get on your bike with Bicillevant, who rent out bikes all across the island. One of the nicest tours of the island you can take is the perfect pairing of walking and wine – you’ll really feel like you’ve earned that drink! You can find out more about some great itineraries at Mallorca Hiking. If you need more ideas, just check out our blog on the best family activities in Mallorca. By far the best vegetarian restaurant on the island is Bon Lloc, which serves great lunches in the day and meat-free haute cuisine in the evenings. Mare Nostrum is the perfect combination of amazing food that comes at a reasonable price – you can find it in Sa Poblo towards the north of the island. 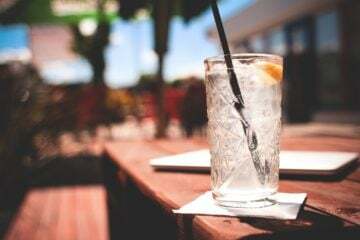 If you feel like introducing the kids to something a little bit different, Las Olas Bistro in Palma is family friendly and offers a neat take on tapas. And if you are looking for traditional Mallorcan dishes with a twist, Santi Taura is the place to go! The restaurant is named after the young, ambitious chef, Santi Taura, that weekly creates new tasting menus for its diners. Fine dining at its best! Flanigan has spent the best part of the last thirty years delighting the tastebuds of visitors and locals alike, specialising in fresh seafood and eclectic Mallorcan cuisine. You can find more inspiring delicacies by checking out our blog on the best foodie experiences in Mallorca. Tumbet is more of a side dish than a main event, but this Balearic take on ratatouille makes any meal better. Sobrassada is a local spicy sausage cooked in a huge number of ways – it’s even eaten on bread with honey! And any trip to Mallorca wouldn’t be complete without trying some seafood – the lobster stew known as calderata is one of nicest ways to get a taste of the ocean. Why not try some cooking classes courtesy of mymuybueno? Better yet, they can tailor their lessons to suit you! You could mix a bit of exercise with fine wines with Bicillevant’s tour through the foothills of the Tramuntana mountains, stopping at wineries on the way fir tastings. Beer tastings in the comfort of your villa rental with Beer Lovers Mallorca! This would work best followed by a bbq! Macia Batle is one of Mallorca’s longest established wineries, and the tours will give you a fascinating insight into wine on the island – along with a few samples! We’ve even spoken to the locals to find out what their favourite suggestions are! 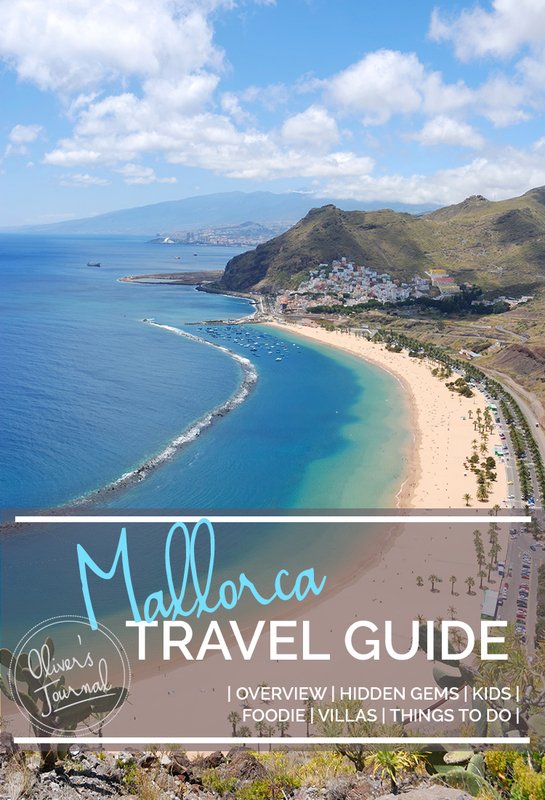 Have a read of our insider’s guide to Mallorca to find out more. Tempted by a stay in wonderful Mallorca? We’ve got a huge selection of beautiful luxury villas ideal for any kind of holiday – whether you’re going with the kids, want to totally relax with a few friends or challenge yourself with some exciting activities. We’ve picked a few of our favourites here to whet your appetite and tempt you just that little bit more! Featured Villas: Casa Alcor, Casa Conchica, Casa Lluvia, Casa Ramallos, Villa Rostoya, Pajarido, Porto Azul, Villa Trogos, Villa Alqueria, Villa Jaso, Villa Xarbet, Can Agave.